5 x card without envelopes. 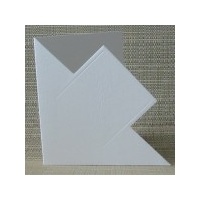 135mmx270mm flat, 135mm x 135mm folded. 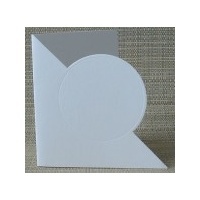 The Circle shape is 100mm Wonderful textured cards have a circle cut out shape which is also embossed. 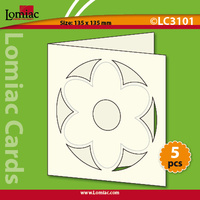 This makes them a really useful card for all types of card making. 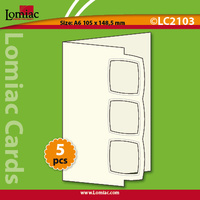 There are five in each pack and they fit into A6 envelopes. (our part no CRA2102B). 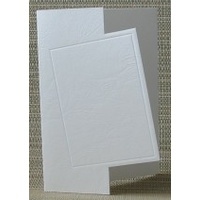 These cards are also embossed on the reverse, making them extra special. 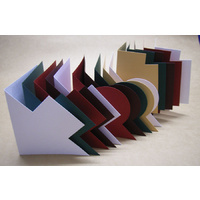 All cards are machine cut and scored for a perfect crease every time.